DRAW PREVIEW: FC Barcelona Lassa, Telekom Veszprem, Paris-Saint Germain Handball and HC Vardar will learn the penultimate obstacle on the way to glory. The Steigenberger Hotel at the heart of the City of Cologne will host the last draw event of the VELUX EHF Champions League 2016/17 season on Tuesday 2 May. The four best teams, who made it all they way to the VELUX EHF FINAL4 (3/4 June 2017), will learn the names of their semi-final opponents. There is an interesting mixture of the four participants as the only former champions to make it that far this season FC Barcelona Lassa are accompanied by two other returnees from the last FINAL4 edition Telekom Veszprem and Paris Saint-Germain Handball, plus HC Vardar the absolute newcomers to the LANXESS arena. FC Barcelona Lassa will make the trip to Cologne for the sixth time (out of eight editions), while Veszprem will enter the final tournament for the fourth straight time and Paris-Saint Germain Handball for the second time in a row. The VELUX EHF FINAL4 draw event will start at 12:00 hrs. local time. During the draw event the new website of the competition will be launched and also the new merchandising line for the final tournament will be presented. 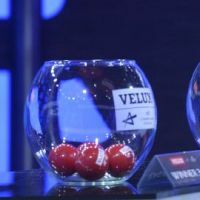 The VELUX EHF FINAL4 draw will be completely open and all four teams will be drawn from the same pot. The draw will be conducted in four simple steps. The playing times of both semi-finals and final matches have remained unchanged with first matches to be played at 15:15 hrs and second at 18:00 hrs on both days. The exact playing order will be announced in due time following negotiations with TV partners. The whole event starting at 12:00 hrs will be streamed live and free on ehfTV.com, on ehfTV youtube channel and on the ehfCL Facebook page. Fans will be also able to follow the live ticker on the official website www.eurohandball.com or live Tweeting on the official @ehfcl channel.